Michael Patrick Gallagher, former lead male dancer for Riverdance, was 8 years old when he started classes with Ann Kerr of the Aodh Rua School of Dance in Donegal, Ireland. Within two years he had won his first World Championship. He had continued success, including seven Ulster (regional) titles, five All-Ireland Championships, and a second World title. Michael Patrick was studying for a law degree at Queens University when he was asked to join the first cast of Riverdance. While at first reluctant to put his education on hold, he soon agreed to give it a go for one year. That one year, however, turned into another seven, as he was quickly promoted to the role of lead male, first with Lagan Company in the US, and then with the Flying Squad. In all, he danced over 1200 lead performances, one of the most given by any male principal in the history of the show! Since his days performing full-time with Riverdance, Michael Patrick has had the opportunity join them again for shorter tours around the world, as well as performing as a special guest on Dancing with the Stars in 2008. Now based in Phoenix, Arizona, Michael Patrick runs the Michael Patrick Gallagher School of Irish Dance. With the qualifications of TCRG and ADCRG, he has been teaching Irish dance for 8 years to all levels of dancers, from beginners to dancers in the World Championships. He is also a sought-after choreographer and conducts workshops in Irish dance all over the world. 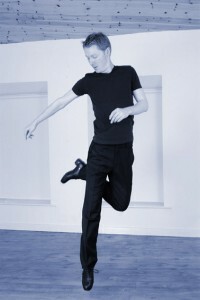 You can read more about Michael Patrick at www.irishdanceworks.com.